Since the late nineties, Green Map System has had a presence in Latin America. One of the first countries to get involved is Argentina, where biodiversity Green Maps were developed by Dr. Ana Maria Faggi, ecologist and Flores University instructor and her students to address sustainability and climate change's impacts in different regions. Three main maps were developed in this Latin American country, with maps focused on la Capilla de Monte, La Plata (download at the blue link) and the capital city, Buenos Aires. 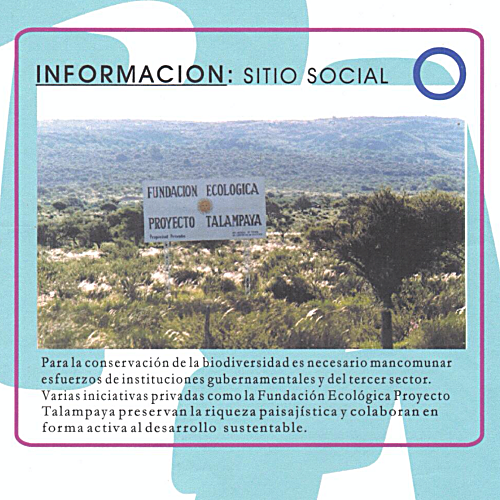 The three projects were led by Dr. Ana Maria Faggi, ecologist and Flores University instructor. 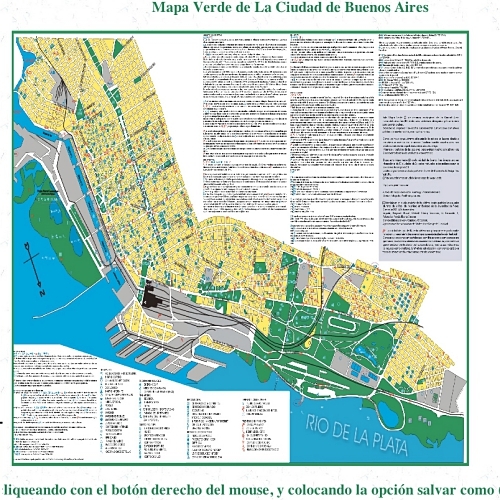 The first completed sections of the Buenos Aires Green Map were posted online and a printed poster was created in time for the November 1998 United Nations Climate Change conference (COP4). It included predicted sea level rise and resulting impacts on this coastal city. 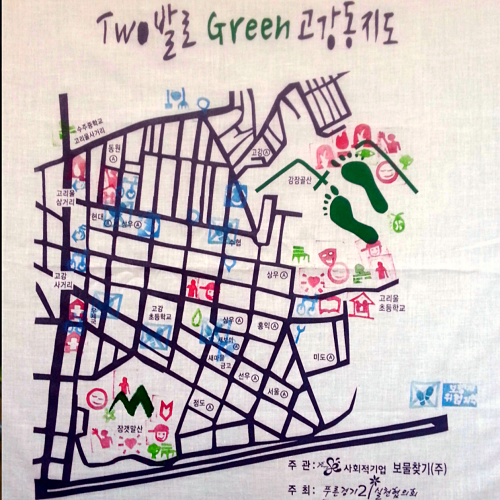 This wonderful Green Map was the first in Spanish -- in fact Dr. Faggi was the first to translate the Green Map Icons into Spanish. This team's excellent work has helped us understand the importance of helping sustainability concepts flow from the South to the North. 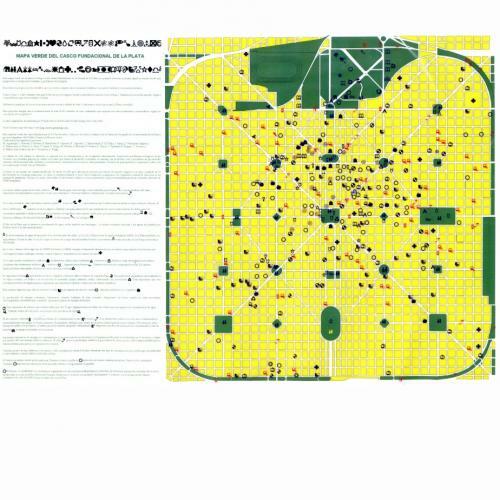 Dr. Faggi worked with 30 university students each semester, and they presented their neighborhood green site surveys at October 1997's University Congress, and their Map at April 98's Congress. Dr. Faggi also presented Green Maps as an environmental education tool at Argentina's September 1998 Geography Congress, and has made several other major presentations. 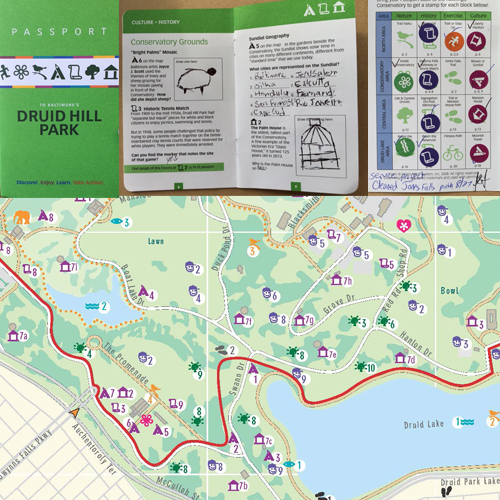 Later, in New York, geography intern Alexandra Purdy studied all of the Latin American Green Map projects, including those made by younger students in Argentina. Her report was presented at the American Academy of Geographers in 2012 - download it here.